Trends seem to come and go. Some come back each year without surprise, but one trend just seems to have stuck around this year. 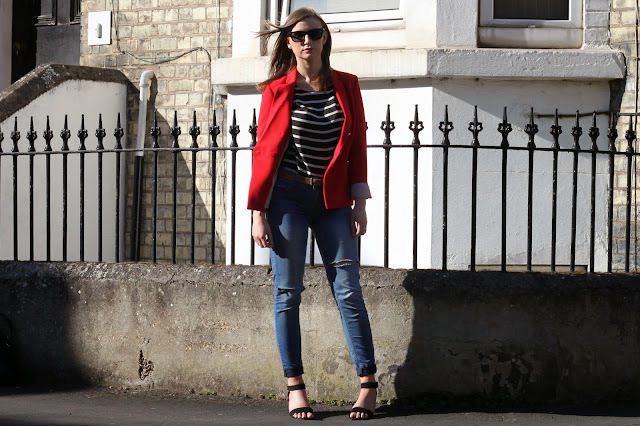 At first I didn't think much of ripped jeans - I thought they were a trend that wasn't going to stick around for very long when people realised that they were essentially paying for a broken item of clothing - but how wrong was I?! Ripped jeans seem to have started last year and have surprisingly stayed! Maybe it is because of the rubbish English weather meaning that we are used to putting jeans on every day, rather than heading to our wardrobes for a skirt or shorts? Or maybe it is a trend that does seem to look good on anyone? Who knows. Either way, I have eaten my words and have accepted that they are awesome. In an attempt to reduce my costs, I decided to try and distress some jeans myself. 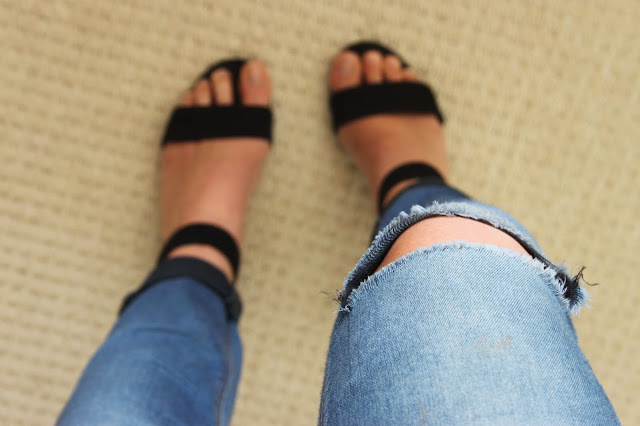 All you need is a pair of jeans, some sandpaper and some scissors - what could be easier? To distress the jeans, lay them flat and start rubbing your marked areas with your sandpaper until the denim starts to really thin out and look worn. Keep doing it in all the areas you would like to create the effect and then brush them off to ensure there isn't sand everywhere. Tadaaa...this is the finished look! What do you think? Would you try to create a trend with a bit of DIY or would you rather buy it? Let me know in the comments! Wow, I never knew it was so easy!! I'll be trying this for sure. :) Love the red jacket; it really suits you.